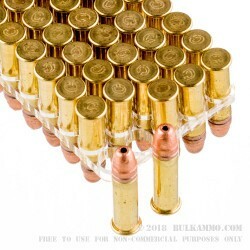 CCI ammunition is the gold standard by which all others are compared when it comes to .22 long rifle and other rimfire cartridges. If your 22LR firearm is ever having any feeding issues with another brand, give CCI a shot and they are sure not to disappoint. This .32 grain segmented hollow point design is intended for varmint hunting. 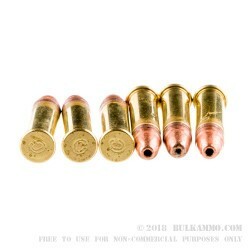 The segmented hollow point is designed to split apart into three separate pieces upon impact allowing it to be as effective on small creatures as possible. This will allow it to cause maximum damage, putting the varmint down as quickly and humanely as possible. This projectile is traveling at a blazing 1,640 feet per second, which is the same speed as CCI's stinger line of ammunition, which is an extremely popular round of theirs. Often times 22s can be picky about what velocity it takes to operate them so sticking to a similar weight and feet per second can be important. If you are looking for a great round, that travels fast, and can help with your varmint control needs, this is a product to try. CCI takes pride in their consistent and reliable ammunition and stands behind their product. Pick some up today!